Leslie is a graduate of Florida International University with a degree in healthcare management. Before joining RCS as a regional training manager for the Miami Dade area in 2015, she managed a busy health care practice for several years. 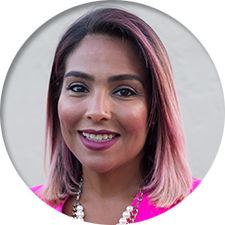 She oversees and trains for 100 risk management clients in the Miami Dade area while simultaneously providing high performance training to a myriad of industries around Florida. Leslie is a ServSafe® Certified Food Manager Proctor. Leslie has also earned her Certified Hospitality Trainer designation from the American Hotel & Lodging Association.